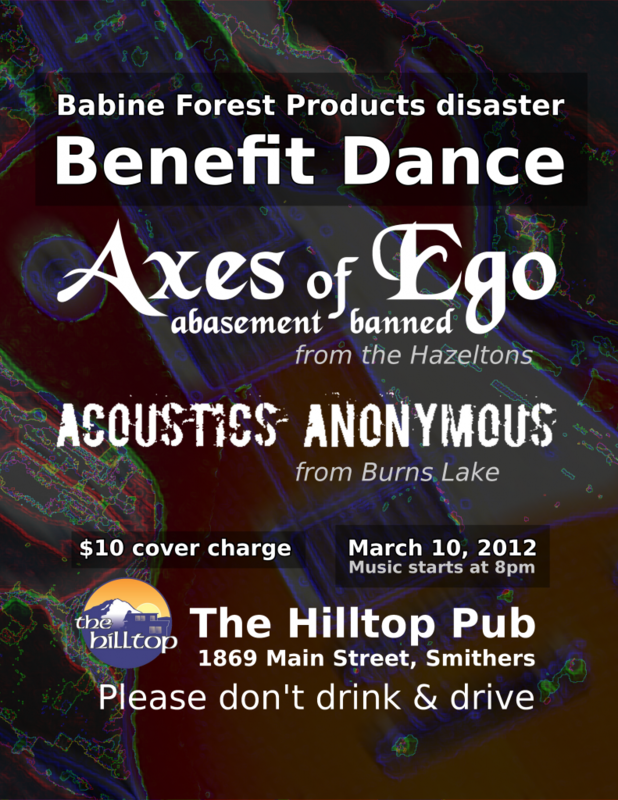 We’ll be playing on March 10 at the Hilltop Pub in Smithers to benefit those affected by the Babine Forest Products disaster. Also appearing will be Acoustics Anonymous from Burns Lake. Music starts at 9 pm. $10 cover charge. Note: this event’s date has been changed from March 3 to March 10. If you want to print a copy of the poster for yourself, you can download it here.